A virtual private network secures public network connections and in doing so it extends the private network into the public network such as internet. With a VPN you can create large secure networks that can act as one private network. 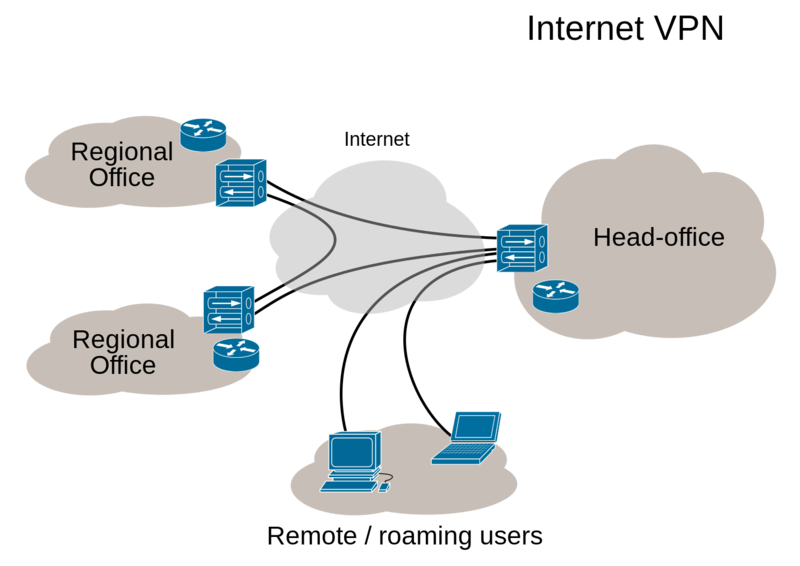 Companies use this technology for connecting branch offices and remote users (road warriors). OPNsense supports VPN connections for branch offices as well as remote users. Creating a single secured private network with multiple branch offices connecting to a single site can easily be setup from within the graphical user interface. For remote users, certificates can be created and revoked and a simple to use export utility makes the client configuration a breeze. 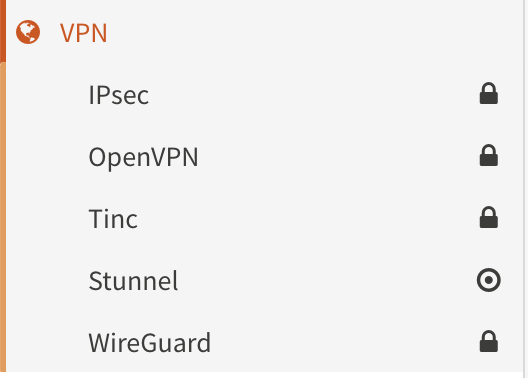 OPNsense offers a wide range of VPN technologies ranging from modern SSL VPNs to well known IPsec as well as older (now considered insecure) legacy options such as L2TP and PPTP. VPN technologies displayed with an open lock are considered to be insecure. OpenConnect - SSL VPN client, initially build to connect to commercial vendor appliances like Cisco ASA or Juniper. WireGuard - Very simple and fast VPN working with public and private keys. Zerotier - seamlessly connect everything, requires account from zerotier.com, free for up to 100 devices. Please read our how-tos for configuration examples and more detailed information.